It was a cut on his forehead that gave Hitalo Machado away. stealthily. "She said, 'How could you get cut? It was a jiu-jitsu tournament.' I said, 'Mom, it was an MMA fight.' She didn't even believe me." 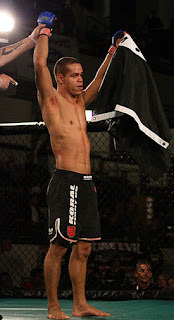 And so, three years after his first MMA fight, Machado's mother – even though they are originally from Brazil and part of a family that is entrenched in martial-arts training – finally found out he was fighting. Now, the 23-year-old from Danbury, Conn., hopes it doesn't take the rest of the MMA world quite as long. His next step is a matchup against John Benoit in the Massachusetts-based World Championship Fighting's Saturday event in Wilmington, Mass. The 155-pound fight against the more-experienced Benoit could've been seen as a boost to his career, but then, Machado has been battling more experienced fighters throughout most of his career. Even though he trained at the American Top Team gym in Connecticut, and even though his instructor, Luigi Modelli, is a jiu-jitsu black belt, Machado and his teammates have struggled for attention in New England. But he feels he's ready for more. With a 4-3 record, Machado has fought a majority of his opponents on their home turf, but he's as experienced in martial arts training as many up-and-comers out there. In judo since a young age, jiu jitsu since age 13 and Muay Thai not long after, Machado had put in plenty of time at the gym. Now, he feels, it's time to make a major move. "I see a lot of guys with similar records, 4-2 or 4-3, fighting other guys who are 4-2 or 4-3," Machado said. "It hasn't been like that for me, I've had to take fights against guys who are more experienced than I am. Now I have to prove to myself that I'm worth it, that I'm worth paying attention to." Machado was born in Brazil, and he and his parents moved to Connecticut when he was about 8. By age 13, he was following in the family line – tread by several uncles and cousins – by taking up jiu jitsu. He was lucky, he says, to fall under the tutelage of Modelli at ATT. "He grew up in Rio, in Brazil, and he moved here to teach," Machado said. "We're extremely fortunate that he's here." Machado also had competition in his own family. A younger brother, age 20, is a naturally skilled jiu-jitsu artist – one of those fighters, Machado said, who can rarely go to the gym, slap on a gi and still tear up any competition around him. But genes could only take Machado so far. While friends and schoolmates were partying, slacking or otherwise falling into stereotypes of high school experiences, Machado was focusing on his family and his training. Mostly, he had to be careful about his mother learning too much. Being from Brazil, she had mental visions of a more brutal form of fighting when Machado and friends would watch tapes of early UFC events in his living room. She wondered aloud how anyone could be interested in such brutality. Machado, though, was indeed interested. While going through technical school to earn his education in plumbing and heating, he was regularly at the gym, at one point even moving in with Modelli for a time. Modelli was a father figure for Machado, whose own father had moved back to Brazil when his parents divorced and whose stepfather took some warming up to. "It was a big help," Machado said of his long-time commitment to martial arts aiding his fighting career. "Other guys my age, they're married or have kids, or still out partying, and there's nothing wrong with that. But I chose this. I'm fighting, and I'm teaching, and I'm doing what I love." After making his pro debut in February 2006 at a World Fighting League event, Machado headed to an eight-man tournament at 155 pounds. After a loss to Douglas Brown, Machado spent some time reviewing his next opponent, Corey Patterson, for a November 2006 Full Force Productions show. "He looked like a pretty tough guy," Machado said. "I told my instructor, 'I can't beat this guy.' I was working construction 10 or 12 hours a day and then training, and I reached a point where I couldn't beat the guys I wanted to fight with that schedule. "Luckily, I found a place I could teach, and I committed to training." Machado began his career 4-1 before losing his past two fights by second-round submission and third-round technical knockout. The technical knockout was caused by the cut on Machado's head that led to his mother's discovery of his fighting career. Even though he had been hiding his career from his mother, though, Machado's close family ties are a benefit to him, he said. But, a family name that is known in New England martial arts and a decorated instructor can only take a person so far. Being from Connecticut, not the best-known nest for MMA, Machado has an added uphill climb in using his traditional martial arts skills and experience he gains in teaching to win fights. "It's been hard; the key is getting a good manager, someone to look out for me and some other fighters, to get exposure to outside here of (the) New England area," Machado said. "I fought in Illinois, in Arkansas; I had to go there and take extremely hard fights just to be taken serious by organizations outside (the) New England area. Then we have to prove we belong." Award-winning newspaper reporter Kyle Nagel is the lead features writer for MMAjunkie.com. His weekly "Fight Path" column focuses on the circumstances that led fighters to a profession in MMA. Know a fighter with an interesting story? 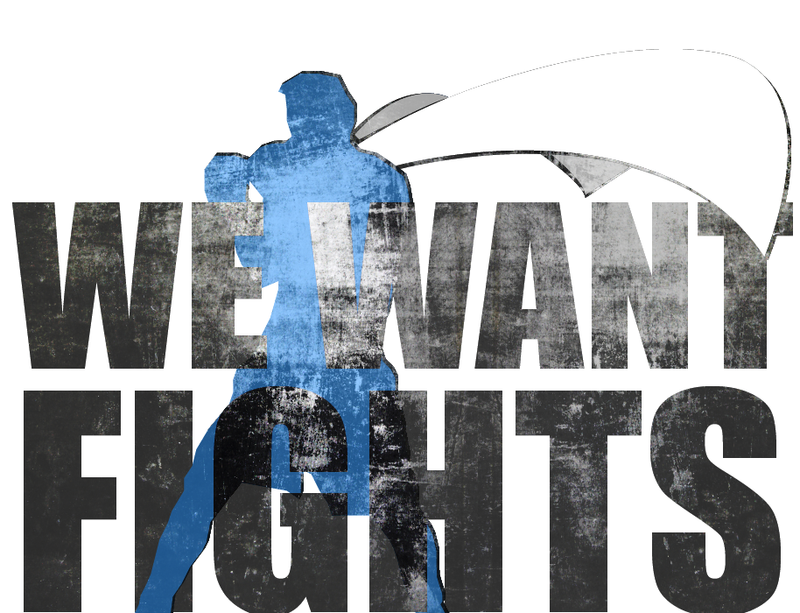 Email us at news [at] mmajunkie.com.